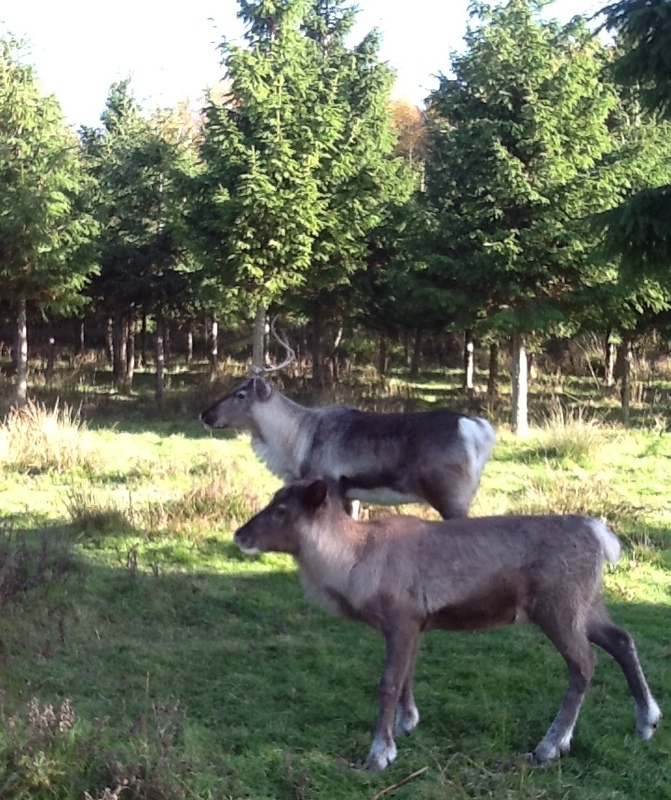 Here at Hans Christmas Andersen we have 8 reindeer who live with us all year round. They are:- Nog and Holly, 9yrs old. Dora, Ivy and Snowy who are 4yrs old. Rocky 3yrs old. Neil 2yrs old and Hazel who is 1yr old this June. Over the next 12 months I will be following the lives of our reindeer and will be letting you all know about their habits and antics. I will also be giving you some facts about domestic and wild reindeer that may suprise you. Hans has always been passionate about these lovely animals and, despite her best efforts, Julie fallen in love with them too. They have become family pets and are also much loved by all our Christmas visitors. In January the reindeer have been having a well deserved rest after the very busy time at Christmas. I am sure they must find it very quiet now only seeing Hans and on occasions the rest of the Hans Christmas Andersen family. Hans visits the reindeer at least twice every day of the year for their food and to check their general wellbeing. 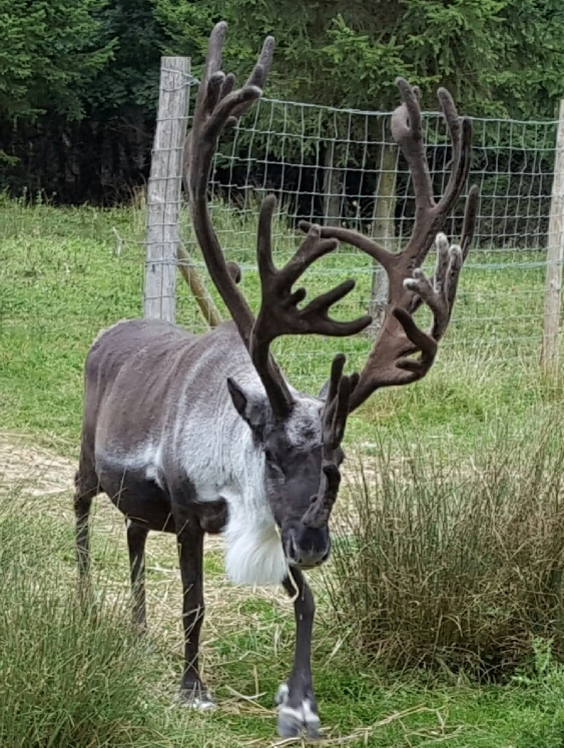 Our reindeer are kept in a large compound with plenty of grassy areas and trees for shelter, as well as some huts for them to sleep in. Hans feeds them on straw in the morning and a mix of cattle nuts and rehydrated sugar beet in the evenings. They also have access to water day and night. 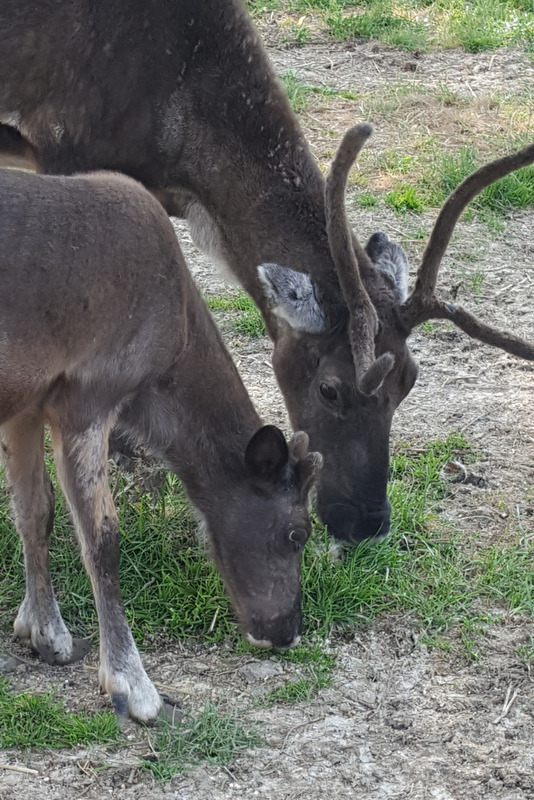 Reindeer are like lots of animals in that they like to have the same food all the time and can become quite poorly if their diet is changed. Reindeer from North America are called Caribou and are wild. The reindeer from Eurasia are mostly domesticated.. It is believed that reindeer have been domesticated for over 7,000 years, longer than the horse. 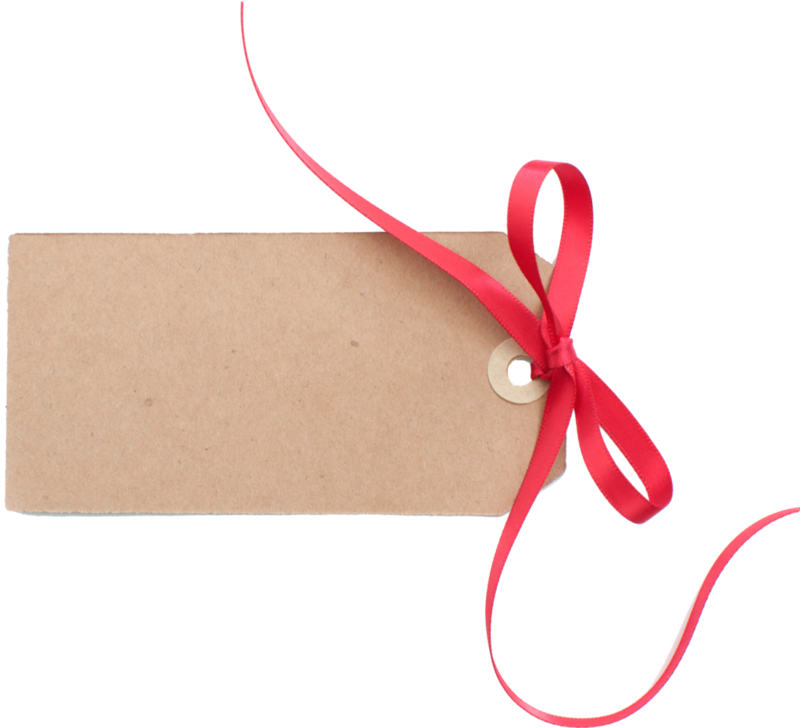 The word reindeer comes from the old Norse word 'Hreinn' meaning 'horned animal'. The word Caribou comes from the French 'galipu' which means 'snow shoveller'. Reindeer are from the Cervidore family and the scientific name is 'rangifer tarandus'. Over the next 12 months I shall be giving you lots of facts about the lifestyle, history and stories about the gorgeous reindeer. In February meet our reindeer and learn a little about their characters and background.